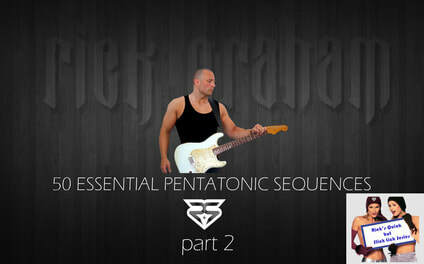 ​In the eagerly awaited follow up to part 1, I take you through another beastly concoction of essential pentatonic sequences, this time with the focus being on legato technique. In the 42 minute FULL HD VIDEO, I take you through another 25 of my favourite sequences that I use in my soloing on a regular basis. I'll take you through each sequence in a clear and concise fashion with a thorough explanation of the requirements of both the right and left hands.